Brigadier General (ret) Michael Fleming, third from left, with members of the Delaney family at the JAX Chamber Military Hall of Fame awards ceremony. 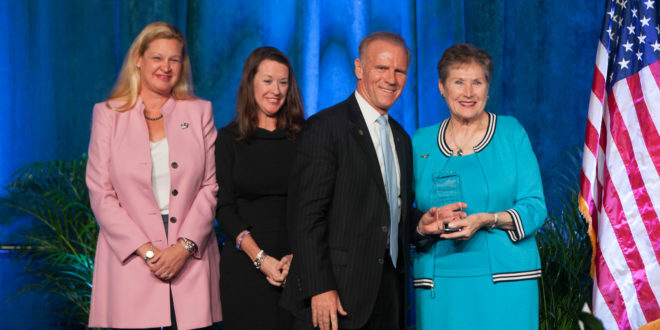 For his positive impact on the Jacksonville community, Brigadier General (ret) Mike Fleming, Senior Vice President for University Relations and Development, is this year’s winner of the Kevin F. Delaney Hall of Fame Award presented by the JAX Chamber. Fleming is a distinguished 30-plus year military veteran, and began serving Jacksonville University as Chief Government, Military and Community Relations Officer in 2014. Prior to that, he was Managing Director of Deutsche Bank. 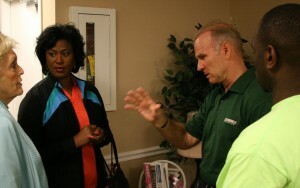 He has been responsible for creating JU’s Community Engagement Center; leading the University’s highly successful Charter Week planning; founding and chairing the Jacksonville Military Veterans Coalition, a public/private partnership with the City of Jacksonville and business community to provide employment opportunities for veterans; and leading the Northeast Florida Military Veteran College Network. The Military Veteran College Network leverages the resources and personnel of the region’s colleges and universities in an unprecedented collaboration. It is part of the region’s “higher earning through higher learning” EarnUp initiative, which is led by Jacksonville area college presidents and JAXUSA Partnership to increase the college attainment rate to 60 percent for Northeast Florida by 2025. The network provides information to military students through an innovative website, decreases barriers to veterans getting their college degrees, shares best practices and seeks innovative initiatives to enhance the military student experience. “Michael Fleming epitomizes the best of service to country, state and city,” Navy Commander (ret) Bill Spann, Director of the Military Affairs and Veterans Department for the Mayor’s Office, wrote in this nomination. He described Fleming as a “tireless advocate for his hometown” who is viewed as one of the top leaders of Jacksonville’s military community. Secretary of the Navy Ray Mabus was on hand for the announcement as he visited Jacksonville Naval Air Station on Thursday, Nov. 3, for the last time in his official capacity. His trip coincides with a week featuring the Jacksonville Sea and Sky Airshow and the Navy vs. Notre Dame football game, both on Saturday. For his part, Fleming, who began service in the military at age 19, said he was “blessed and honored” to receive the award, and glad to be in a unique position to foster collaboration to help military veterans. He was also thrilled to have his 82-year-old mother, Mary Jo Connor of Middleburg, in attendance to witness the honor. Brigadier Gen. (Ret) Michael Fleming, Senior Vice President for University Relations and Development, still on the mend and just off crutches after major knee surgery, traveled to numerous volunteer sites throughout the morning during this year’s Charter Day, including at Five Star, where he explained JU’s indebtedness to Arlington to District Councilwoman Joyce Morgan and appreciative Five Star managers. Among his numerous other accomplishments, Fleming led and grew Deutsche Bank Jacksonville from 700 to more than 1,400 employees; served as the Assistant Adjutant General responsible for more than 10,000 Florida Army National Guard soldiers; helped coordinate the Florida Army National Guard’s development of a comprehensive mobilization plan immediately after 9/11; led a team that analyzed the North Atlantic Treaty Organization’s Partnership for Peace, resulting in a report published by Harvard University; and led an 800-soldier unit delivering logistics, supplies, maintenance and health support services to forces of up to 10,000 personnel. He holds a Master of Business Administration degree from the University of North Florida and Master of Arts from the United States Naval War College, and has served as a Congressional National Security Fellow at Harvard University, and Foreign Affairs Fellow at Johns Hopkins University. As Senior Vice President for University Relations and Development for JU, he oversees Community and Military Relations, Government Affairs, University Advancement (including Alumni Relations, Corporate Relations and President’s Parents Council), Career Services and Special Events. Also reporting to him are the Entrepreneurism, Policy, Innovation and Commerce (EPIC) program, now funded on a recurring basis by the State of Florida. Admiral Kevin Delaney, who died in 2015, was a JU Trustee, donor and parent. He served as commanding officer of Navy Region Southeast, as well as of Jacksonville Naval Air Station. He flew 686 combat missions as a U.S. Navy helicopter gunship pilot with the Seawolves in Vietnam and retired as the most decorated officer in the U.S. Navy. Assistant Adjutant General; Florida Army National Guard; 2003-2010. Chief of Staff; Florida Army National Guard; 2001-2003. Director of Operations (Deputy Chief of Staff Operations); Florida Army National Guard; 1998 – 2001. Chief, Legislative Liaison; National Guard Bureau, Pentagon; 1997-1998. National Security Fellow; Harvard University; 1996-1997. Battalion Commander; 927th Corps Support Battalion; 1994-1996. Congressional Fellow; House Veterans Affairs Committee; 1993-1994. Inspector General Investigator; Pentagon; 1991-1993. Student; Naval War College; 1990-1991. Assistant Professor of Military Science; University of Florida; 1987-1990. Physical Security Officer; 50th Area Support Group; 1986-1987. Company Commander; 50th Area Support Group; 1984-1986. Physical Security Officer; 50th Area Support Group; 1983-1984. Special Services Officer; 1st Force Service Support Group; 1978-1979. Executive Officer; Engineer Support Company; 7th Engineer Support Battalion; 1978. Platoon Commander; Engineer Support Company; 7th Engineer Support Battalion; 1977. Student, The Basic School; 1977. Officer Candidate, Officer Candidate School; 1976. Administrative Chief; 1975-1976; Camp Elmore, Virginia. Unit Diary Clerk; 1974-1975; Camp Geiger, North Carolina. Basic Personnel Administrative/Unit Diary School; 1974; Parris Island, South Carolina. Recruit; 1974; Parris Island, South Carolina. National Defense Medal w/second award. Member, United States (CIOR) Military Pentathlon Team, 1990-1994; 1997; 2000; 2007. Several others medals and ribbons for service related assignments. Brigadier General (ret) Michael Fleming epitomizes the best of service to country, state, and city. A native of Jacksonville, Florida, he has been serving our country and community for over 40 years. General Fleming’s military service was characterized by excellence. In the Marine Corps, he joined as an enlisted Marine and, after three meritorious promotions and achieving the rank of Sergeant in 19 months of service, attended Officer Candidate School through the Enlisted Commissioning Program. General Fleming then served in a numerous leadership roles rising to the rank of Captain before transferring to the Florida Army National Guard. Upon entering the Florida Army National Guard, General Fleming served in various command and staff positions. Highlights of his service include two tours at the Pentagon, selection as the first National Guard Congressional Fellow; Battalion Commander; National Guard Bureau Chief of Legislative Liaison, Harvard University National Security Fellow; and Chief of Staff of the Florida Army National Guard. General Fleming’s service culminated in his selection as the Assistant Adjutant General of the Florida Army National Guard. In this important position he served as the senior executive responsible for Florida Army National Guard programs and 10,000+ Soldiers and supervised operations, training, equipment readiness and resource allocations. General Fleming served as the Florida National Guard’s Joint Task Force Commander for six Hurricane operations and worked extensively with the Department of Defense and Department of the Army. He gave back to his community through multiple non-profits to include serving as an advisor to the Community Foundation of Northeast Florida, Gulf Coast Community Foundation in Venice, Florida, and the Dade Community Foundation in the applying for and receiving of $5 million each from the Iraq Afghanistan Deployment Impact Fund. Throughout his career General Fleming has been a thought leader and has had articles published by Harvard University, The Journal of Homeland security, and the NATO Review. 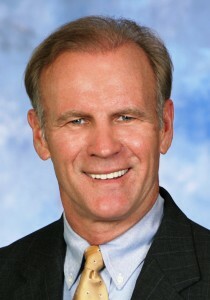 Since his retirement from the military in 2010, General Fleming has worked as a Managing Director for Deutsche Bank leading the unprecedented growth of the Bank in Jacksonville and now as a Senior Vice President at Jacksonville University with responsibility for University Relations and Development. He was presented the State of Florida Governor’s Business Award by Governor Scott in recognition for business expertise. General Fleming is a tireless advocate for his hometown. He chairs the Hands On Jacksonville Board and serves on other boards to include the Jacksonville Chamber of Commerce Board of Governors and Greater Jacksonville Area USO Board of Directors. He is a nationally recognized expert in Military Veterans Outreach Programs. General Fleming is a founding member of Veterans on Wall Street (www.veteransonwallstreet.com); Founder and Chair of the Jacksonville Military Veterans Coalition (www.coj.net/jobsforvets) that connects Military Veterans with employment opportunities; and Founder and Chair of the Northeast Florida Military Veteran College Network (www.earnup.org/veteran-service-resources) that connects Military Veterans with education opportunities. He developed a comprehensive Military Veterans Outreach Program plan that Liberty Mutual, Farmers Insurance, HCL and other companies utilized to enhance their outreach program. General Fleming is viewed as one of the top leaders of Jacksonville’s military community.